"Uproarious" - The New York Times. 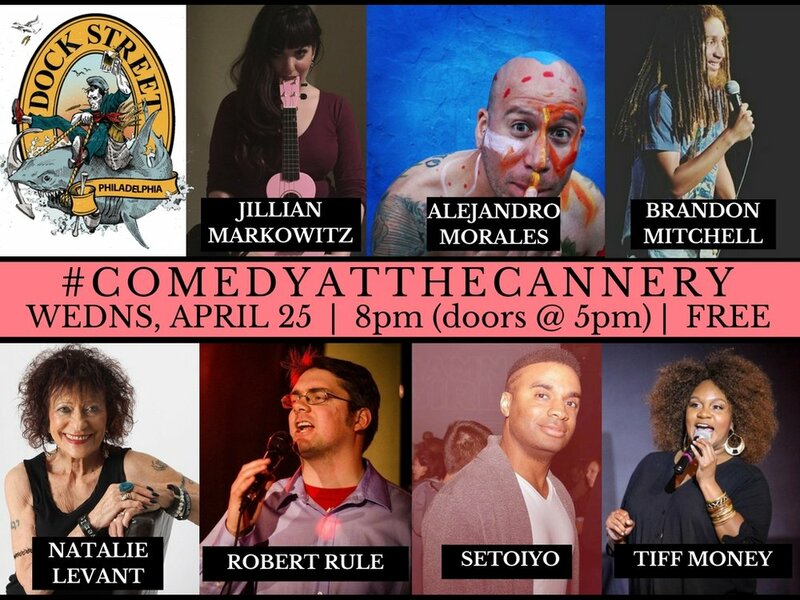 #ComedyAtTheCannery is back again this month, and sure to help you get over whatever beer, cocktails and pizza don't fix. Hosted by Jillian Markowitz and featuring sets by Alejandro Morales, Setoiyo, Brandon Mitchell, Tiff Money, Natalie Levant, Robert Rule. DOORS OPEN AT 5PM. SHOW STARTS AT 8PM AND LASTS ROUGHLY 2 HOURS.